Designed for modern farmers and agricultural contractors who desire to perform a variety of light- and heavy-duty tasks with one machine, the new POWERMONDIAL series represents the state of the art in mid- to high-range farm tractors. 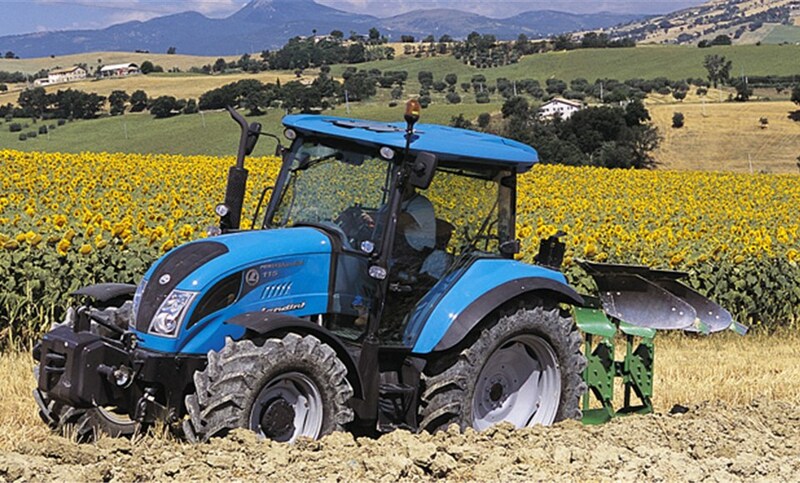 With a power-to-weight ratio of 45 Kg/hp, the POWERMONDIAL is designed to minimise soil compaction. All models are equipped with the new Perkins 1104D series turbo-aftercooled engines up to 110 HP which deliver exceptional power and torque while meeting the Tier 3 emission standards. The range offers two versions – Techno and Top - featuring two different transmission models. The Techno version offers a 15-speed mechanical transmission (Speed Five) which can be combined with a creeper and mechanical reverse shuttle to achieve 20 forward and 20 reverse speeds. The Top version features a 12-speed transmission (Speed Four) combined with a hydraulic Three-Shift option (T Tronic), which triples the gears of the basic transmission under load to 36 forward + 12reverse. 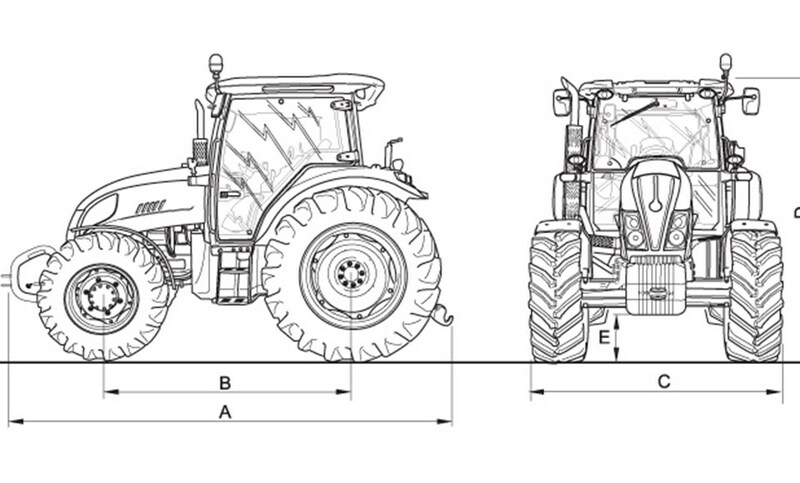 A creep transmission and a hydraulic power shuttle extend flexibility to 48 forward and 16 reverse speeds. The electrohydraulically-engaged PTO comes with a choice of two speeds - 540/750 or 540/1000 rpm. An optional 3-speed PTO (540/750/1000 rpm) is also available for maximum versatility. The front axle with 55-degree steering angle and electrohydraulic 4WD engagement is equipped with integrated wet disc brakes for positive braking on all four wheels. The Top version features as standard an electronic Cat. 2 power lift with a maximum lift capacity of 5650 kg and up to five rear hydraulic remote valves. A front lift and PTO and a front loader are also available as an option to further extend the flexibility of the POWERMONDIAL range. The four-post cab with full-sized, rear-hinged doors provides superb all-round visibility. With ergonomically-arranged controls, climate control and a sliding sunroof for loader operations the Master Class cab is built to provide the operator with superior comfort. The new Perkins 4-cylinder turbo-aftercooled engines deliver 102, 110 and 112 hp (ISO). They comply with the tier 3 emission standards and provide high torque backup, improved fuel economy and low noise levels. 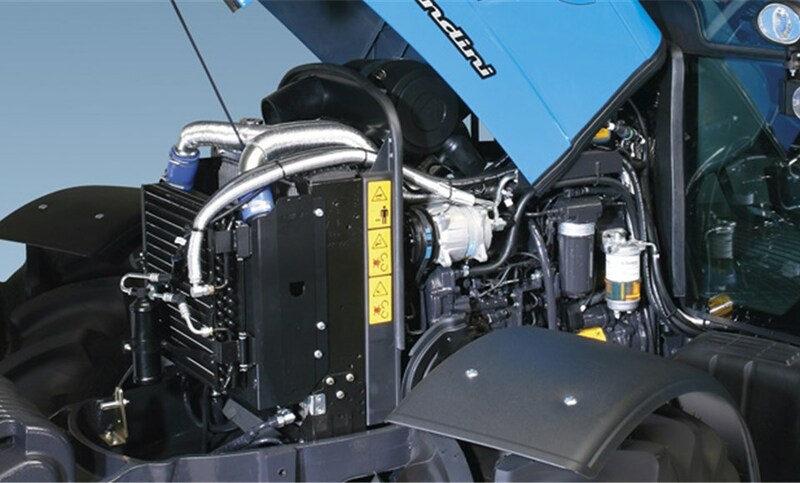 The tilt-up hood provides easy access to the engine compartment for routine service and maintenance. PERKINS DIRECT-INJECTION TURBO-AFTERCOOLED TIER 3 ENGINE 1104D-44TA 1104D-44TA 1104D-44TA ELECTR. INIEZ. The T-Tronic transmission triples the 12 gears of the basic transmission (speed four) under load, giving a total number of 36 forward speeds plus 12 reverse speeds that are achieved using the green buttons on the gear shift lever. A creep transmission is available as an option, extending flexibility to 48 forward and 16 reverse speeds. 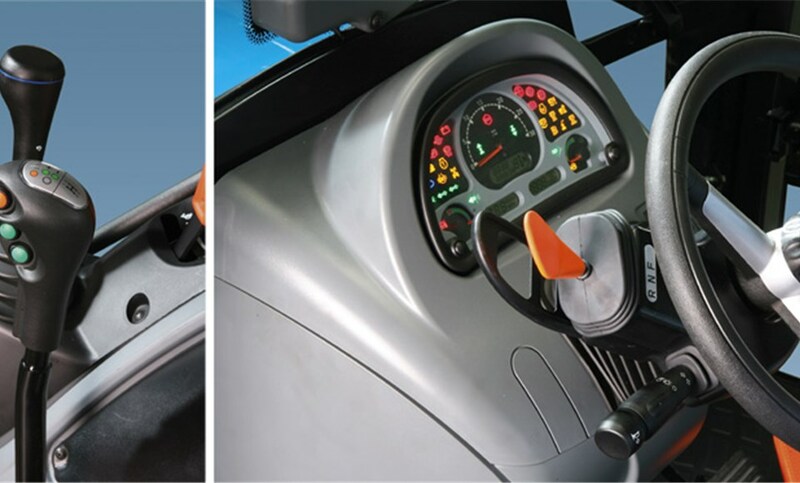 The de-clutch control (orange button on the gear shift lever) and the reverse Power Shuttle (lever fitted under the steering wheel) allow the operator to change gear and shift from forward to reverse without using the clutch pedal. 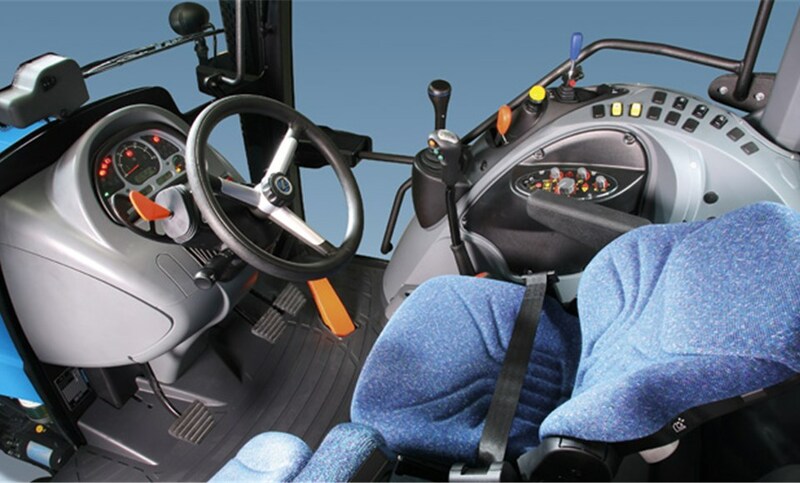 The “Master Class” cab has a four-post design with full-sized, rear- hinged doors which provide total all-round visibility and allow the operator to enter and exit with ease. The quality and design of the ergonomically-arranged controls and the excellent sound- proofing maximise the operator comfort. An athermic glass sliding sunroof makes front loader operati ons easier. 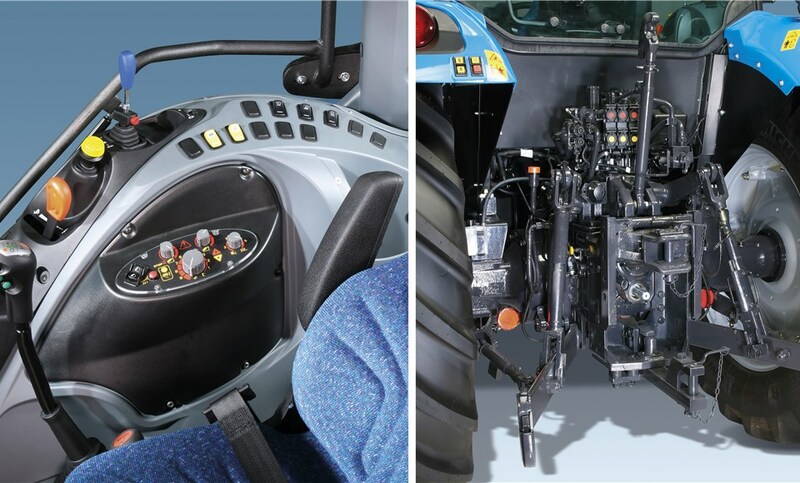 Equipped with pneumatic suspension seat, adjustable steering wheel and an efficient climate control system, the cab creates the ideal environment for long hours in the field. The eight powerful halogen lights provide greater visibility during nig night work. With ergonomically-arranged controls on the stylish right–hand console located to the driver’s right, the Landtronic electronic Power Lift incorporates all main functions and regulations offering maximum comfort and fingertip control of implements. The cat. 2 three-point hitch provides a lift capacity of 4700 kg.